« New album of Kadu Pires on iTunes now! For all zouk lovers in Cyprus! 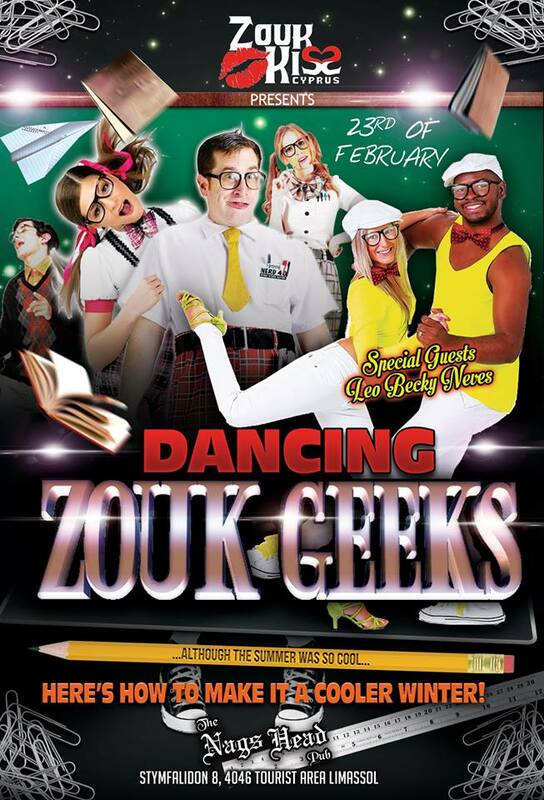 Get ready for special addition zouk party “Dancing Zouk Geeks” on February 23 at Nags Head Pub in Limassol. Special guests Leo and Becky Neves (Brazil)! It’s going to be real fun. Don’t believe? Come and check it out! All additional information and updates will be posted on our web site. So, stay tune and see you there! Don’t forget the dress code – geek! By Sofia Andreadou	| Posted in events, party | Both comments and trackbacks are currently closed.